In the past decade, mountain pine beetle has affected more than six million acres of Montana forests and the wildfire season has increased in both length and severity. In order to provide Montanan’s with all the benefits derived from our state’s forested landscape, it is important to work across ownerships to stem the insect and disease outbreaks and create more resilient forests. The USDA Forest Service (USFS) is Montana's largest land management agency; there are roughly 17 million acres of national forest system lands in the state. Federal lands in Montana make up over half of our state’s forested landscape. The pace and scale of active forest management, particularly timber harvest, has declined dramatically over the past 25 years in Montana, and the health of our national forests has suffered as a result. Montana is not alone in this fact; a number of factors, including the mountain pine beetle, climate change, slowed harvest and others have created new challenges in most western forests. We need a paradigm shift related to forest management — a move away from contentious and polarizing debate about forest management that frequently results in litigation — towards an open, collaborative and productive dialogue aimed at how to best manage forests for a variety of objectives. Through this Initiative, the DNRC is employing a variety of approaches to promote sustainable forest management on national forests in Montana. The 2014 Farm Bill provided an opportunity for the Governors of every state with national forest system lands within their borders to recommend priority areas for treatment due to threats from forest insects and disease, wildfires, or both. Governor Bullock's nomination resulted in the designation of 5 million acres and includes lands in every national forest in Montana. Governor Bullock's letter to the USFS requesting designations for Montana's forest. 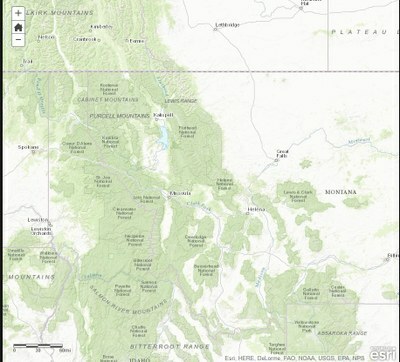 View maps of the nominated Montana Priority Landscapes. more effectively and efficiently develop, analyze and implement projects that reduce the risk or extent of, or increase resilience to, insect and disease infestations. The state of Montana is working alongside the USFS Northern Region (Region 1) to increase restoration goals and ensure successful implementation of projects in the Farm Bill priority landscape area. Visit the USFS for more information on the 2014 Farm Bill authorities and to view an Interactive Montana map and list of projects. The state's interest and involvement has encouraged the Northern Region to accelerate implementation of Farm Bill projects. Region 1 is leading the nation in using these authorities in new forest management projects. Over 50 projects using the new authorities are planned or underway in the Farm Bill priority landscape; more than half of these will use Farm Bill authorities. A new Farm Bill Strike Team was created to accelerate project planning and implementation. Complement management activities on private, state, country, city or tribal lands, and that illustrate cross boundary partnerships and investments.. 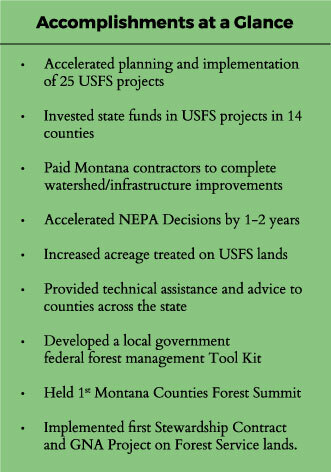 The State of Montana is investing in 25 Forest Service projects across the state, benefiting each National Forest and 14 counties. These projects are bolstering restoration outcomes on over 200,000 acres of forested land, improving recreational opportunities, providing approximately 161 million board feet of timber to Montana’s mills and necessary goods and services to support resource dependent communities. All of the 25 projects receiving funding are within or immediately adjacent to the Farm Bill priority landscape designations. Fourteen of the projects are using Farm Bill Authority; seven of them will use the Insect and Disease Categorical Exclusion (Farm Bill CE). As of January 2017, thirteen of the projects have decisions signed and seven timber contracts are being awarded to Montana mills. Culvert installation along a haul route for the Firecracker Annie project in Mineral County. The road work was awarded to two local contractors using Forests In Focus grant funds. The Projects using state funding must be in compliance with all federal and state laws, regulations and policies. The DNRC analyzed the impacts of issuing funding to the USFS under Montana Environmental Policy Act (MEPA) Procedures. The DNRC sent a Notification of Funding Availability letter to the USFS-Region 1 on April 4, 2016 announcing the available funds and seeking project proposals. 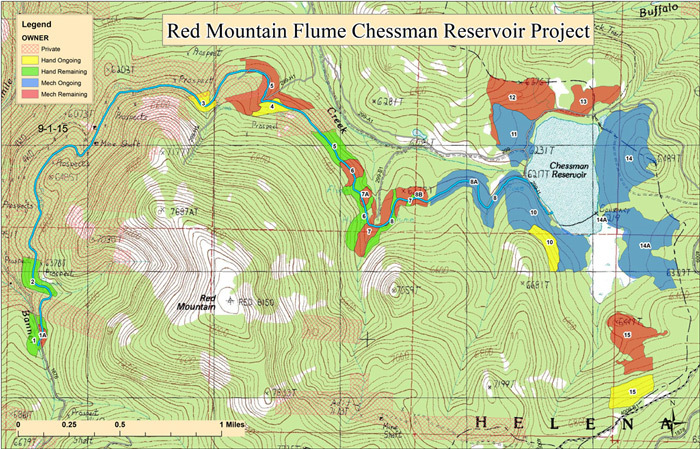 In an effort to share resources and partner with the Forest Service on projects of mutual benefit, the Montana DNRC entered into a pilot project under a Stewardship agreement in the 490-acre Red Mountain Flume Chessman Reservoir Project in the Tenmile watershed near Helena. This project includes fuels reduction and forest restoration work aimed at protecting Helena's municipal water supply. 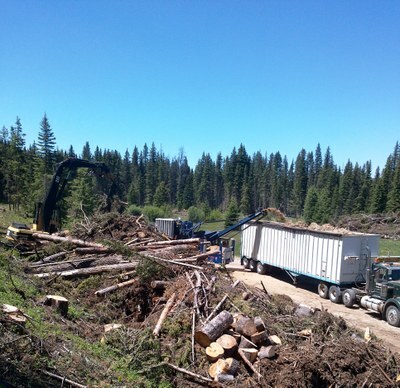 The DNRC is administering the contract for harvest and forest work is being conducted by Montana businesses. To date, 98% of mechanical and hand treatment has been completed and over 4.2 million board feet of timber has been delivered to R-Y Timber and Marks-Miller Post and Pole. This project, when complete, will be the first agreement of its kind in the nation, and will ensure a clean and safe water supply for the residents of Helena. The 2014 Farm Bill, and the Consolidated Appropriations Act of 2014 provide the authority for the Forest Service to enter into sole source contracts and Good Neighbor Authority (GNA) Agreements with state agencies to accomplish restoration services activities on and off federal lands. 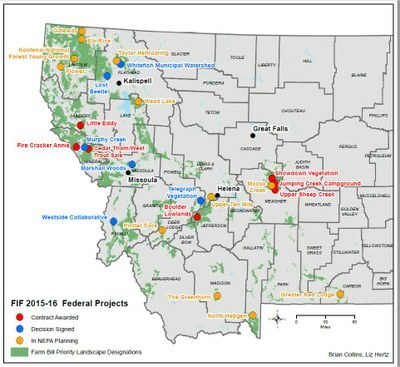 GNA is providing a new, flexible management tool to enable Montana and federal partners to collaborate more closely in carrying out critical forest, rangeland, and watershed restoration activities, as well as fuels reduction projects across boundaries. Montana signed a Master Good Neighbor Agreement in July 2016. 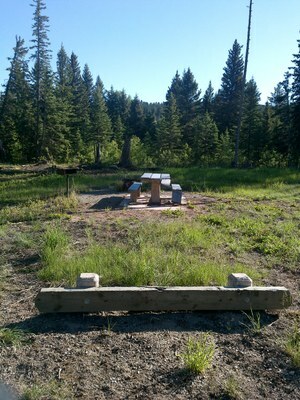 The first standalone Good Neighbor Project was completed in Jumping Creek Campground in July of 2016. The state's resources accelerated the campground opening, leveraged funds, and produced forest products for three Montana businesses. Two GNA projects are in process of moving forward on USFS lands in both the Pintler and Superior Ranger Districts. The DNRC is exploring the best way to utilize the Good Neighbor Authority to increase the pace and scale of restoration in Montana across ownerships. Read more about the GNA and what projects are permitted.